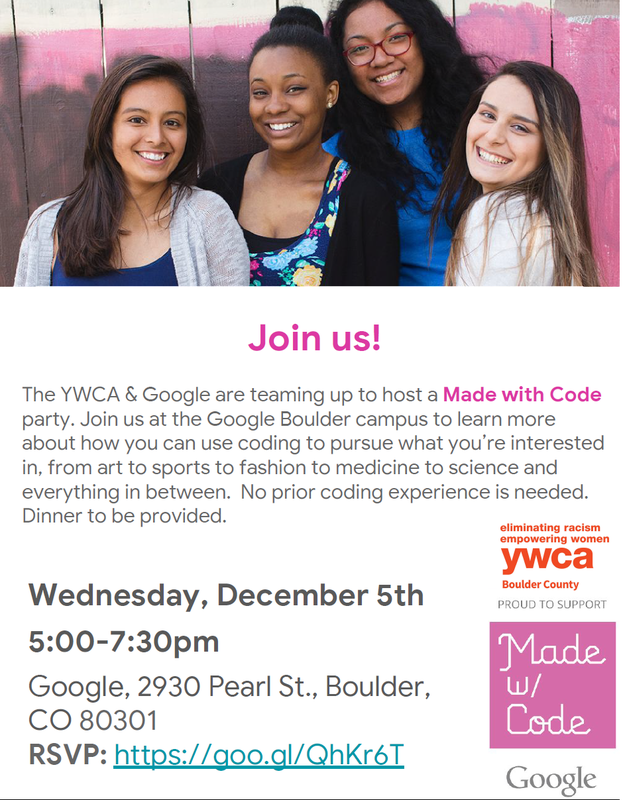 YWCA and Google are teaming up to host a Made With Code party. Join us at the Google Boulder Campus to learn more about how you can use coding to pursue what you’re interested in, from art to sports to fashion to medicine to science and everything in between. No prior coding experience is needed.